After a prolonged legislative session marked by delayed talks and Republican infighting, the General Assembly has finished its work and adjourned for the year. The short session dragged on as lawmakers struggled to compromise over key issues, including teacher pay and coal ash. Legislators managed to strike a last-minute deal on Wednesday that would work to remove coal ash from 33 ponds across the state. But they left a few items unfinished. House and Senate lawmakers couldn't agree on how to reform the state's Medicaid program and didn’t make a last-minute budget fix to help protect teacher assistant jobs. They also failed to pass legislation to create a new job incentive program backed by the governor. House Speaker Thom Tillis says his chamber would be open to reconsidering the incentives package if Governor Pat McCrory decides to call them back. But lead negotiators say they're proud of what the General Assembly has accomplished, including giving teachers what they consider to be a much-needed pay raise. Tillis also noted how lawmakers from both sides of the aisle worked hard to support one another. “There's no other legislature in the time that I've been Speaker that's done what we’ve done by getting Democrats to join with us on 11 veto overrides, on major regulatory reform, on medical malpractice reform, I'm very proud of it,” he said. 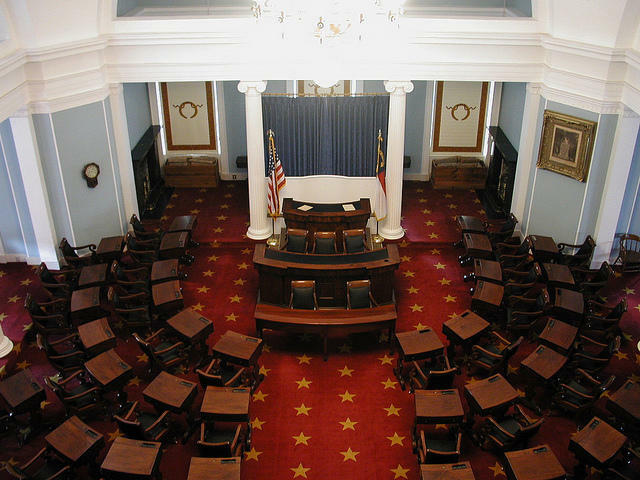 Lawmakers will return to Raleigh in January, unless Governor Pat McCrory decides to call them back before then for a special session. Top Republicans in the North Carolina General Assembly say they’ve agreed on a plan to manage Duke Energy’s coal ash ponds. The plan for Duke Energy's 33 ponds has been roughly six months in the making, but just weeks ago negotiations broke down between the senators and representatives who were writing it.